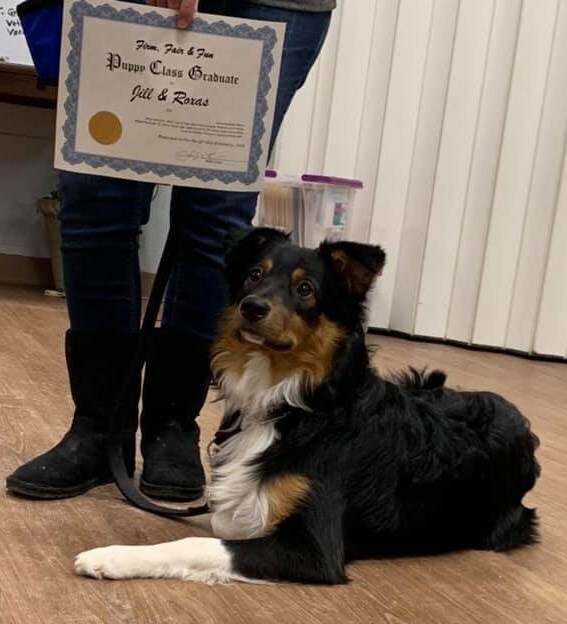 I believe having puppies with the advanced dogs in the same class, this teaches all the four legged students how to behave in a natural pack environment. and ignore the energy of the puppies. Please come have some fun with us! My classes are drop in when ya can, not a 6-8 week sessions. I teach the students that attend, 1 or 10. I strive to move you & your dog forward to the next level, at your speed. 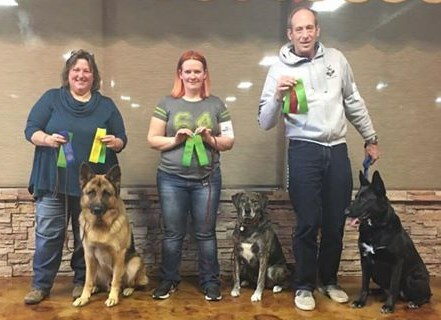 My goal for every student is to pass the CGC & advanced CGCs, then on to off leash OB & rally novice & advanced rally(off leash). If just to build a stronger bond with you & your dog or to compete at a rally competition, your choice, just learn to have fun with your dog. In the winter months(Oct-March) a Socializing/Therapy classes on Wednesdays will be available, if thats the direction you would like to go in. 1st hr is $15.oo which we do Obedience, socializing, obstacles & manners training. NO CLASS, on the 2nd Tuesday of every month. Rural King in Hartland until April, then rotating locations. 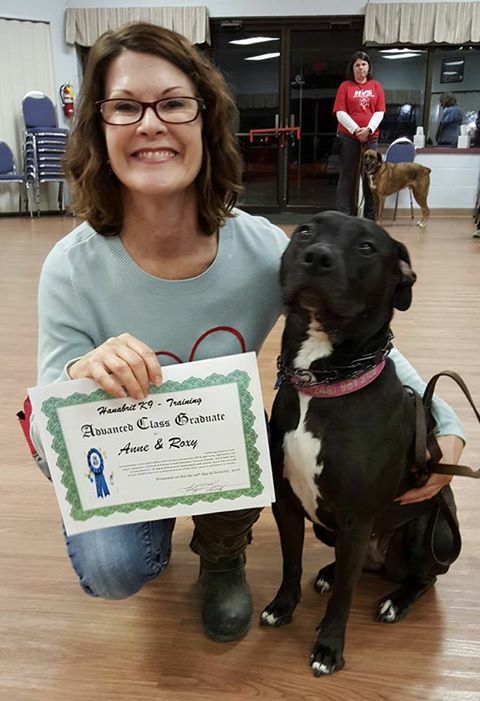 1 hour $15.oo which we do Obedience, socializing, manners & CGC training. All dogs are welcome, even puppies ! 5pm-6pm "Firm, Fair & Fun" beginning foundation training. Any dog 9 wk - 2 yrs of age are welcome. 5-6pm on Fridays at Highland activity center. Bring towel/blanket for pup to lay on, bowl & water from home, small smelly treats such as True Chews or Zukes, leash & collar(no harnesses) and a hungry puppy. 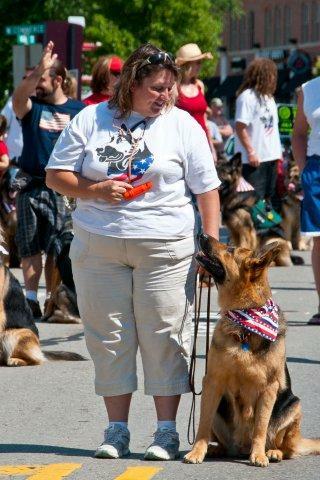 Lessons will include basic commands, manners, socializing skills, care & grooming tips. 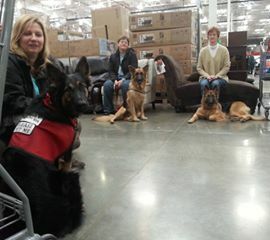 2 hours $20.oo which we do Obedience, socializing & manners training & rally. 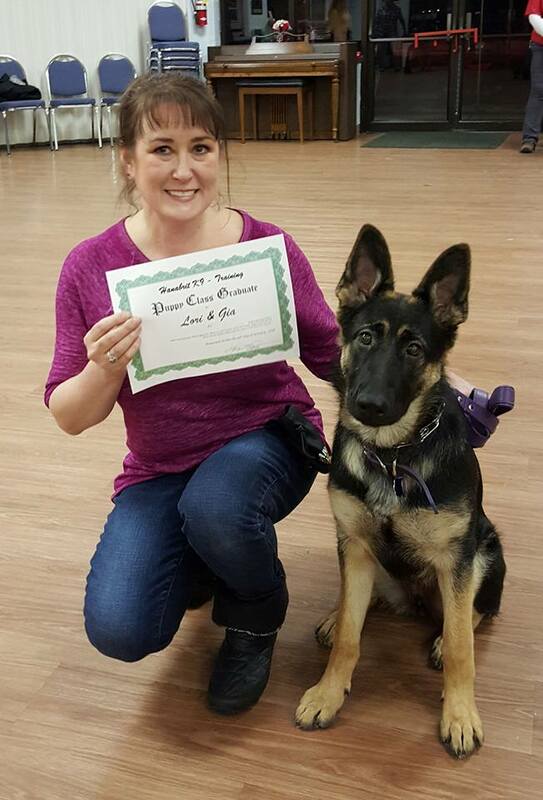 Lessons will include advanced commands, manners, socializing skills, care & grooming tips. every Sunday year round, unless its below 25* degrees. $15.oo which we do Obedience, socializing & manners training. 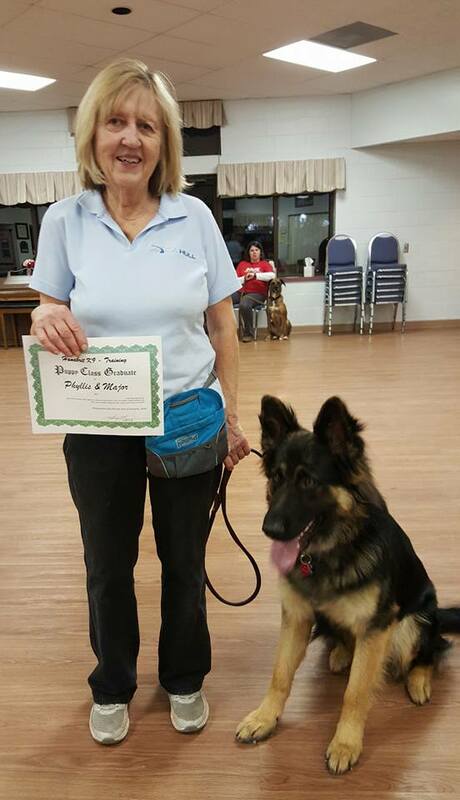 Judy Long has 30+ years of dog training experience. As a teenager, I was a dog trainer/groomer before I even knew what it was called. I have always had the "touch" with animals, grooming with the President of the Michigan Grooming Association at Puff-n-Fluff , Waterford, MI. back in the 80's, then was a manager of the grooming/boarding facility at DePorre' Veterinary hospital in Birmingham, MI. 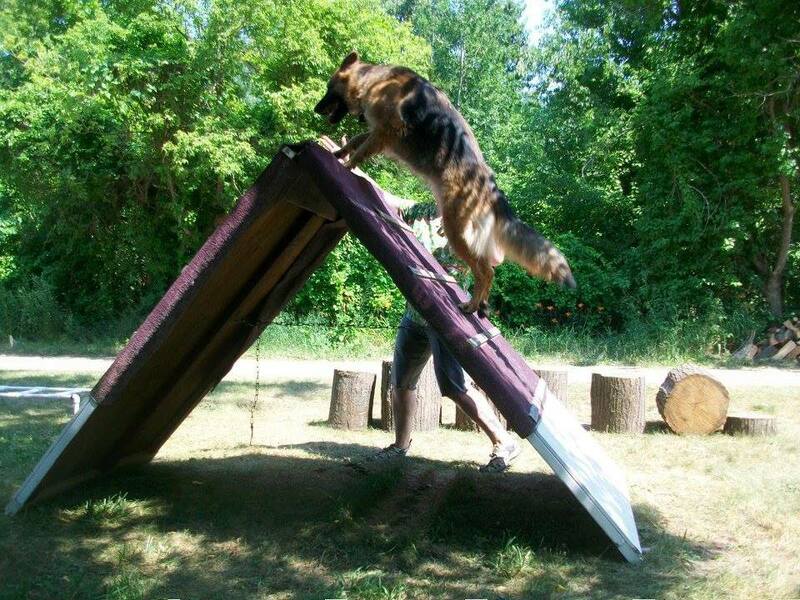 Training dogs of many breeds with a calm and gentle hand, to teach manners and basic obedience. 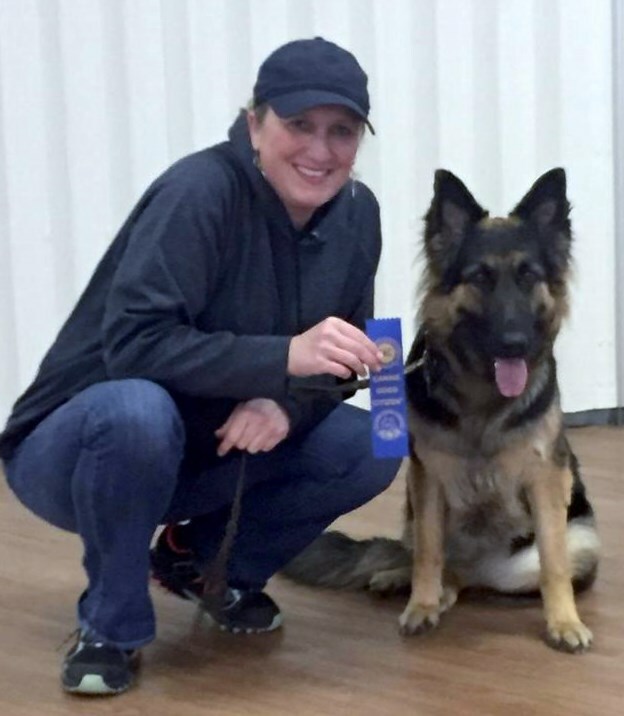 Since 1992, I have been training, showing and breeding Horses & German Shepherds. 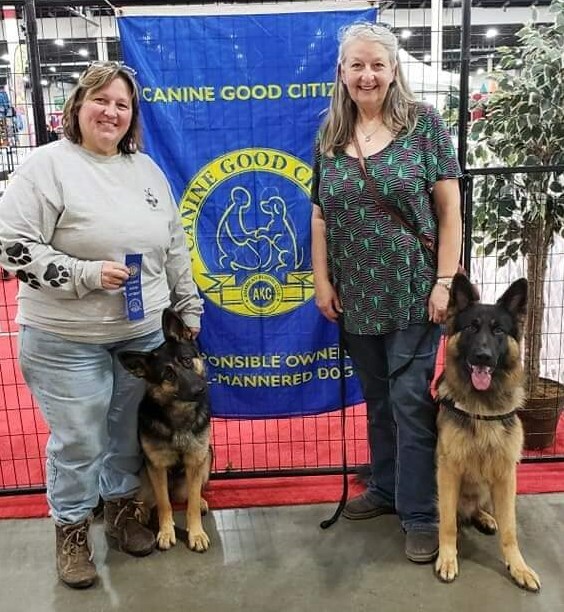 I have titled myShepherds in AKC Obedience-Rally, Canine Good Citizens and Therapy dogs, to give back to the community where I have lived my entire life and raised our family. For 12+ years we have been seen in Highland and Milford during the Farmers Market, Music in the Park and Sunday afternoons, during our socializing walks with our dogs. 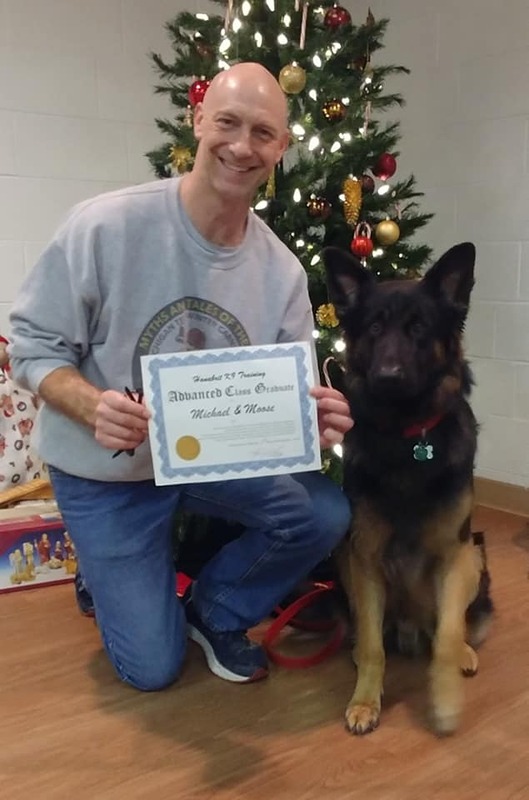 Milford is very dog friendly, it is such a pleasure, utilizing the stores, elevator and stairwells, it helps our Therapy dogs in training and the younger pups to be good canine citizens with manners, meeting and greeting people and other dogs in town. 1. Allow your dog to potty before & after the walk, never allowing to potty or mark on main street, if at all possible. Always carry baggies to pick up after your dog. 2. Extendable leashes are not allowed. 4-6 foot leashes are safest to use. Properly fit collars, slip/prong/flat, so dogs have the ability to learn. NO halti's or harnesses allowed. 3. Control your dog at all times, keep a safe circle around you and your dog. Do Not enter into other's safe circle, unless asked. 4. No Nose to Nose dog greetings allowed. 5. Walk single file while in town, allowing others to pass by, we don't want to be sidewalk hogs. 6. 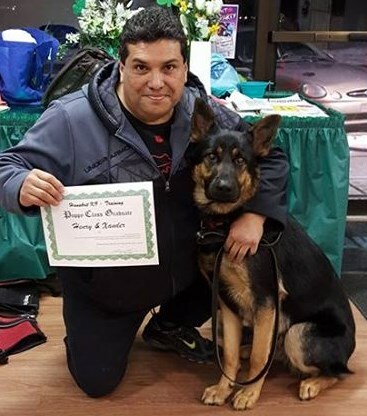 This is a FREE controlled social walk, while obedience, obstacles & socializing are performed from time to time to help our dogs to learn good manners, this is not a class. If more training is wanted, please check this website for group classes. 7. If you need help, PLEASE ASK ! 8. ALL breeds of dogs are welcome. 9. Any Rude, unfriendly comments or abusive actions seen, you will be asked to leave. 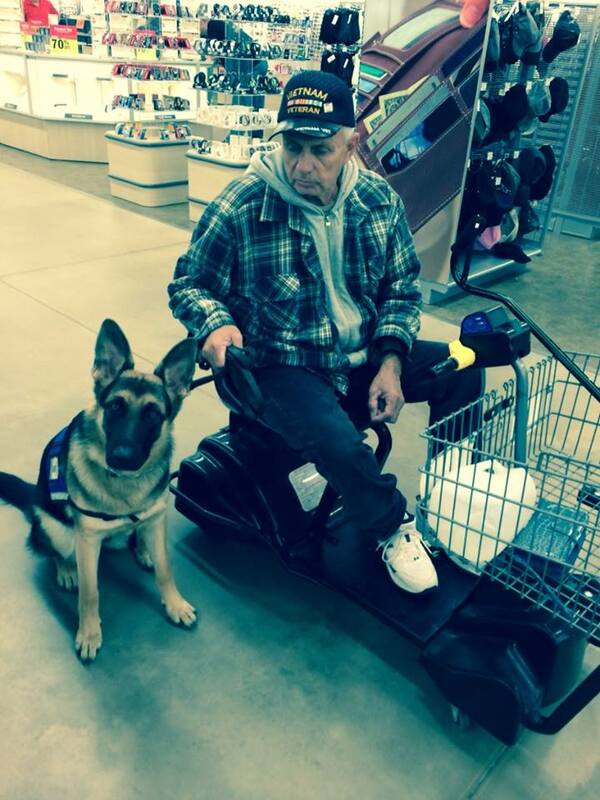 working our dogs in different locations is very important to strengthen our bond with our K9 furkids. 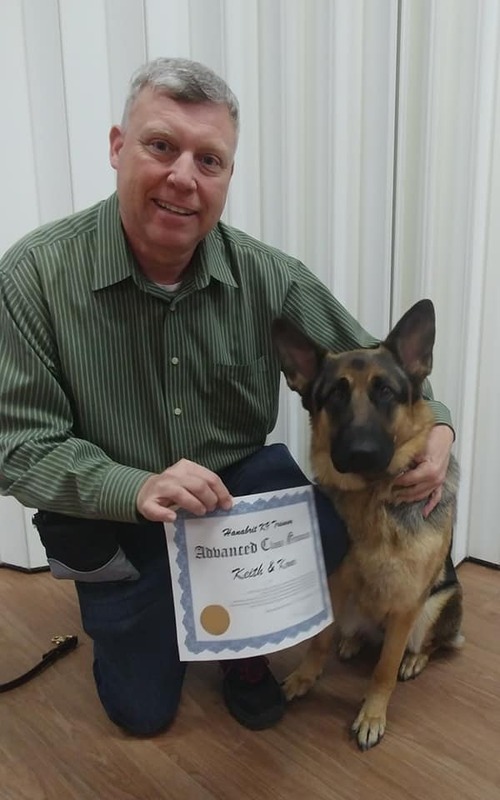 Judy has shown me the magic connection between animal and owner; her innate ability to read the both of us, is the guiding force gentle and positive training. 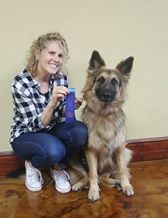 Her methods, skills and intuition is making my precious 1 year old German shepherd dog in training a welcome and appreciated family pet. Dr. Kathie Hammes Ph.D. 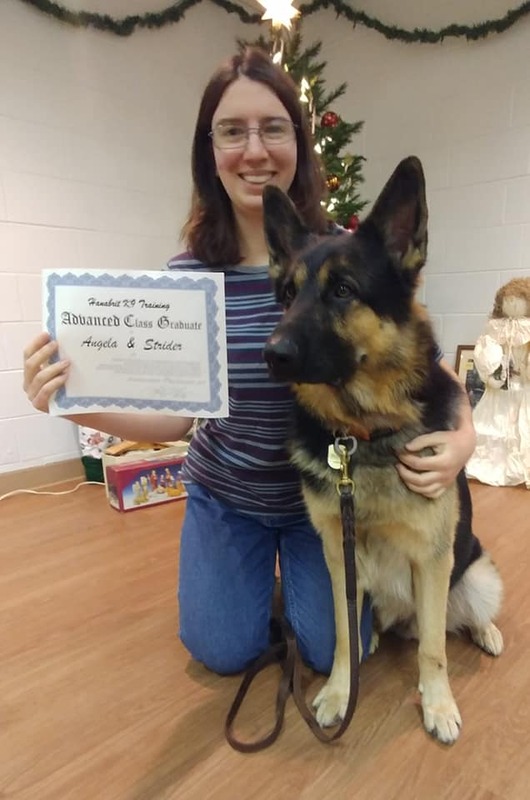 I have a story I would like to share with the hope that it helps at least one other Hanabrit puppy owner or prompts one to contact our breeder, Judy, who truly is always there for the best interest of the pups and for the owners, to help in any way possible. Indi and I are living proof of Judy's dedication. So, Indi is two years old, a Bear x Zena cross. 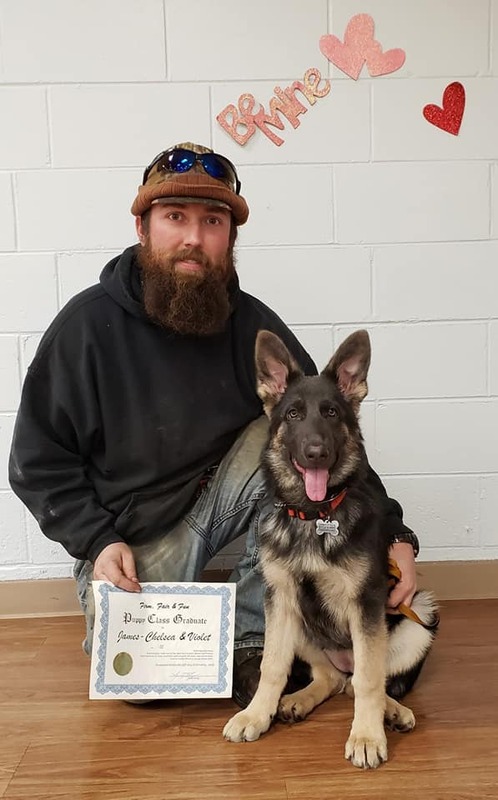 Indi and I drove from Montana to Michigan in September, 2017 to pick up our second Hanabrit pup, a Titan x Roane son we named Duncan. Before coming out, I had mentioned to Judy a few concerns I had with Indi....starting with her not being the least bit friendly. I'll be honest, I was afraid of what might happen with her and a puppy and that I wouldn't be taking Duncan home after all. But, Judy asked me to trust her (which I always have) and assured me all would be well. We arrive at Judy's on a Monday morning, I take Indi out of my truck (on leash of course) and I honestly thought she was going to eat Judy for breakfast! This is how she had been acting for quite some time, and honestly it seemed to be getting worse instead of better. My heart was breaking as I did not understand why this beautiful happy girl (with me) was being so aggressive (my word of description) towards others. I had been thinking for quite awhile that perhaps I should use a prong collar on her, however, I had never used one, didn't know how to properly fit one, and had no one to help me with that where I am at in Montana. Regardless, I knew if help was to be had, I'd get the proper help and guidance from Judy. So once Judy observed Indi's reaction when I took her out of the truck, she got me a prong collar and walked me through putting it on, etc. ONE correction and the light bulb started to flicker! Within a very short time, Indi and I were walking down Judy's driveway and road side by side with Judy and Dillon! I knew what I was dealing with, but more importantly, I knew I had been feeding Indi's reactiveness without even realizing it. WOW! I didn't have an aggressive dog, I had a reactive dog! I didn't have a dog who was bad by nature, I had a dog I was making bad without even realizing it! After walking more miles than I thought I ever could in one day - on pathways where bicyclists were whizzing by in both directions, joggers were passing in both directions, people walking with or without dogs in both directions, side by side with Judy and Dillon, in and out of stores, stopping for lunch at a sidewalk cafe, walking down sidewalks of busy streets all on day one, I can honestly say without a flicker of doubt, all of what was going on with Indi was going down the leash from myself to her. I can now look back at life with Indi and remember so many situations that, without my realizing it at the time, led to getting this reactive dog that I wouldn’t think of taking out in public. That sentence in itself is a perfect example - I wasn’t trusting her and she was reacting to that! This big “light bulb” moment was brought on by Judy asking the right questions, pointing out key actions I was or was not making, and I think most importantly my willingness to have an open mind and be able to not only realize, but to admit, I was to blame - NOT Indi! I spent four fantastic days doing things/going places with Indi that I honestly did not think would ever be possible. As my confidence restored and built, so did Indi’s. Now we are back home in Montana and I take her for walks down the street and know all is going to be fine. She will certainly be going to town with me when I am going to places I know she can go with me. I’ll have to flip a coin to determine if it is her turn or Duncan’s turn! The reason I decided to share my story is to let everyone know that Judy doesn’t just say the words “I’m always here if you have questions” - she lives by those words. Another reason I wanted to share is to let you know that when you think “my dog is so —“ (fill in the bad behavior) remember the dog only knows what we teach it. Be open and honest with yourself first, then take that openness and honesty to Judy for help. 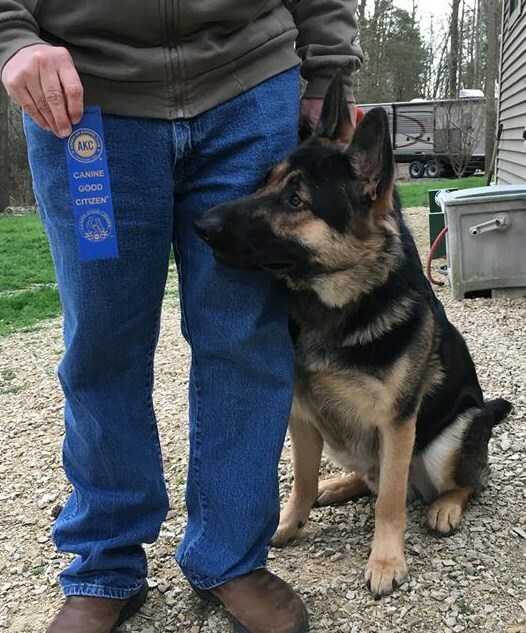 You will become a better handler and your pup will become a lot happier. “Don’t just stop the behavior - correct the behavior”. Those are words spoken to me by Judy that have stuck with me and always will. 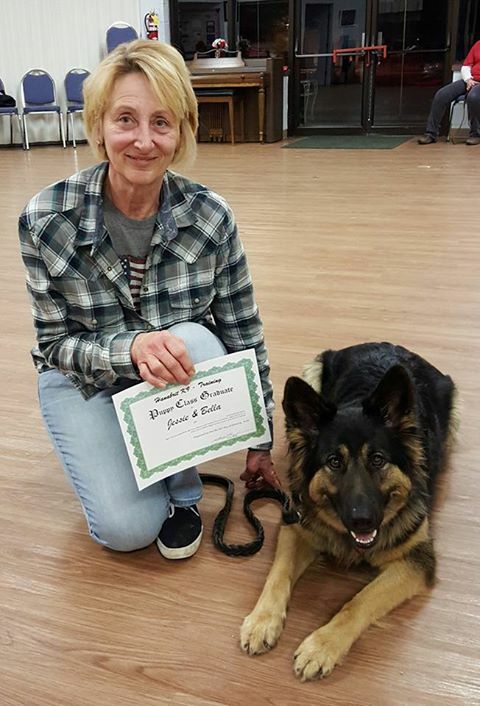 Because of you, Judy Long, I am a better handler, Indi is a happier girl, and Duncan will surely reap the benefits.